May 5, 2015 May 4, 2015 paulaacton3 Comments on Tellybox Tuesday – Mixing it up a little. Tellybox Tuesday – Mixing it up a little. Dr Michael Shepherd is a forensic pathologist, he uses the actual autopsy findings along with witness testimonies and crime scene evidence to look at the event leading up to and what actually happened at the time of the death of the particular celebrity he is looking at. Last week was Robin Williams and initially part of me did feel possibly it was a little soon still, however after watching the full show it became clear just how big a tragedy his death had actually been as the forensic evidence pointed to the onset of undiagnosed dementia which would have been treatable and was very likely responsible for all the symptoms Williams displayed in the days prior to his suicide. From a writing point of view it showed how quickly and easily we all jump to conclusions, everyone assumed it was the diagnosis of Parkinson’s which pushed him into depression and over the edge though the fact showed he had made four films since he had been diagnosed. In writing this can be used to wrong foot the reader, leading them in one direction before delivering the final missing bits of information but the clues prior to the reveal have to be consistent with both the red herring and the true ending. This week was the murder of Nicole Brown-Simpson and Ron Goldman and the infamous OJ Simpson case. I am not going to go into what was revealed but again it shows how differently facts can be interpreted by different people aiming to create different results. From a writing point of view once again it brings me back to the way things can be altered by with holding one piece of information or adding in a false assumption but however you lay the false trail each piece of information has to fit to both scenarios you want to portray you cannot ask the reader to just dismiss any clue you place because it does not fit with the final solution, it has to be explained. Okay so when I looked to see what films I could pick I did decide to allow my geek to rule but I want to say straight out this is not a film review… Okay so we have a film made from a Marvel comic comprising of characters who have been present in the history of our world for over a millennia. Norse Gods recreated as beings from another dimension, superheroes visiting Earth, and it is the characters I wish to discuss in terms of writing. There is one reason that these characters have captivated the imagination, they are flawed. I remember being younger watching the Superman films and though I enjoyed them they did not really captivate me the way this new wave of films has. The Superman of my childhood was too nice, too perfect, he was not someone who you could identify with mainly because most of us had a hard enough time with one identity without trying to conceal it and have a second. Thor is supposed to be the hero but he is arrogant, pig headed and acts without thinking, all traits that almost every human experiences at some point in their life even if only when a child. Loki the villian, the guy we should hate manages to endear himself to a large proportion of those watching the films, why? Because many of us have experienced the feeling of being second best, of feeling that nothing we do is good enough, and while we might not act out ourselves we understand his actions and in some ways even root for the under dog. When we write characters we need people to be able to identify with them be they hero or villain in fact it is okay if they are both or if the reader is left unsure at times. We are all a mixture of good and evil, depending on the circumstances we have to capacity for both. Most people will tell you they could never kill anyone and normally they could not, sometimes not even to save their own lives but to save the life of their child they would not hesitate. Often the difference between a hero and villain is not their actual actions but the context, the hero will usually have racked up a far higher body count by the end of the film but they are bad guys they killed so it makes it okay, right! Whether your characters are Gods or humans, superheroes or hobbits to be successful you must make them identifiable with the reader if you want them to truly invest in them. I love watching Casey’s vlogs, they are like mini films he creates each day, for me as a writer I especially love his time-lapse photography. Time-lapse can be an interesting concept for a writer, we are constantly moving the story forward whereas obviously in time-lapse the camera remains still it is everything else that moves but it is a brilliant way of imagining how locations look at different times of the day, working out plot holes, for example could a spy make a drop in a crowded park at midday? Initially you say no of course not too many people around but watch how crowds move and you soon realise how easy it would be. Personally one of my favourite things is to watch the sunrise and sunsets he films the way the light changes the atmosphere is something that I feel I can use in my writing and aim to incorporate in plot ideas. I chose this particular vlog to share with you for two reasons,one the amazing time-lapse but secondly for his topic he discusses for the first few minutes. I get not all of you will have time to watch it all but the first four minutes are thought provoking especially at the minute with so much discussion of piracy within writing and on the internet, he may work in a different media but I do think we can take something from his words and maybe if more people like him speak out eventually someone will listen and find a way to stop it. Thanks for the Thor trailer. I think I may have been living on a different panel for a few months. I quite enjoyed Casey’s vlog. He’s constantly on the move isn’t he. I was going to say I wouldn’t like to be skateboarding in that traffic but I had to stop and think, ME skateboarding !!! 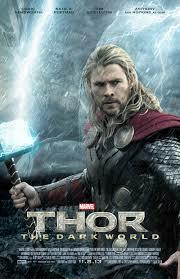 I also like the Marvel characters and enjoyed Thor, likely for the same reason. Next WIP Wednesdays – Getting the house in order.